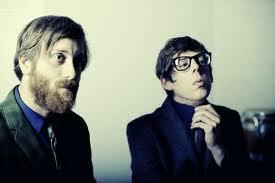 Soulful indie rockers Black Keys are returning to Milwaukee for a concert at the Bradley Center on May 16th. The Black Keys rocked Summerfest last summer with a performance at the Marcus Amphitheater during the eleven day music festival. Their show was one of the most popular concerts of last summer. Coming off of a newly-released album, El Camino, the Black Keys are touring with British indie rock band the Arctic Monkeys. Critics have said that El Camino is the Black Keys best album yet, which says a lot as their other albums were highly successful. If you missed the chance to see the Black Keys at Summerfest, you'll definitely want to get some Black Keys Bradley Center tickets. It's pretty rare that a band like the Black Keys would swing through Milwaukee twice in less than one year. The Arctic Monkeys are also a great addition to this tour. In case you were wondering, the Arctic Monkeys are one of the first bands to be noticed through the internet. They were promoted mostly through fan websites. In addition, the Arctic Monkeys have been an instrumental part of the post-punk revival in the UK. It's always exciting when great rock bands come and perform in Milwaukee!